25th Steak Through the Heart! I let my parents dog-sit for me and I specifically said no human food! I get this picture the first night he was there. Charlie was not sorry. 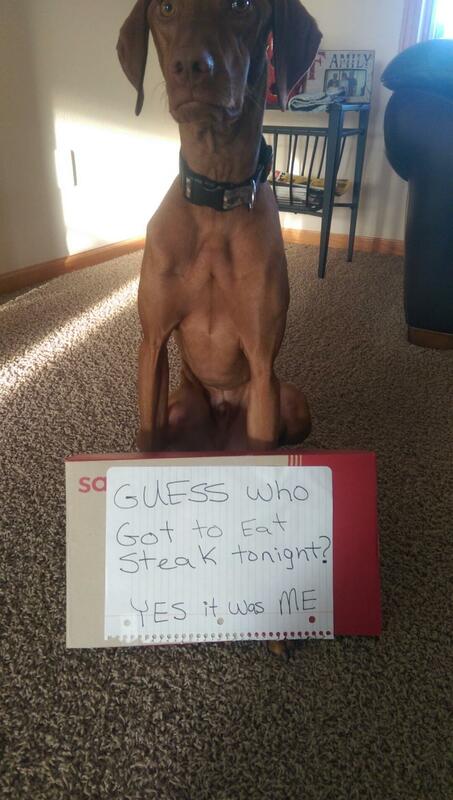 His sign: guess who got to eat steak tonight. Yes it was me! The post Steak Through the Heart! appeared first on Dogshaming. Posted in Dog Shaming and tagged Best Dog Breeds For Kids 'Dog Health Questions' Smartest Dog Breeds 'Dog Training Tips' by cnkguy with no comments yet.